Free Comic Book Day 2015 is Saturday May 2nd (The day after Avengers Age of Ultron premieres). Come on in between 11 and 7. We are doing our normal four books per person, but are officially allowing people to purchase extra comics for $1.00 each. Kurtis J. Wiebe will be here on the following Saturday, May 9th from 1-4 signing his comics. 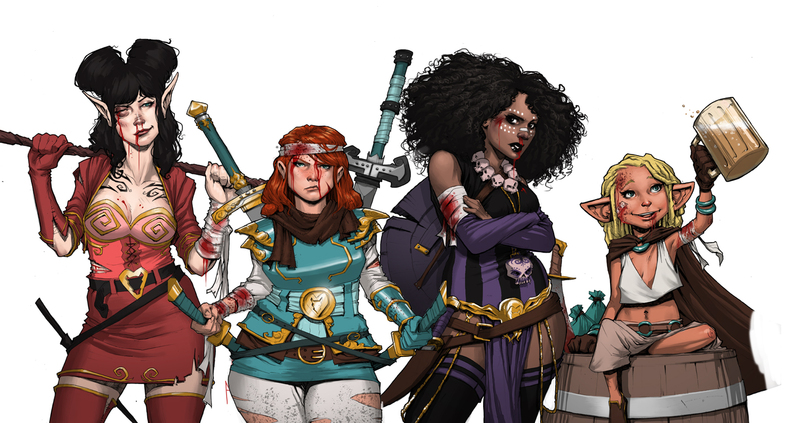 The second Rat Queens Trade Paperback will be out that week and the week earlier Pisces arrives. He is also known for writing Peter Panzerfaust, Green Wake, Grim Leaper and more. We may have an additional guest as well, but we are waiting to make sure that his schedule is clear before making any actual announcements.